More patients with triple-negative breast cancer should undergo genetic testing for inherited mutations in known breast cancer predisposition genes, including BRCA1 and BRCA2, a new study has found. The findings come from the largest analysis to date of genetic mutations in this aggressive form of breast cancer. The results of the research appear in the Journal of Clinical Oncology. Triple-negative breast cancer is a specific type of breast cancer that makes up about 12 to 15 per cent of all cases. The disease is difficult to treat because the tumours are missing the oestrogen, progesterone and HER-2 receptors that are the target of the most common and most effective forms of therapy. 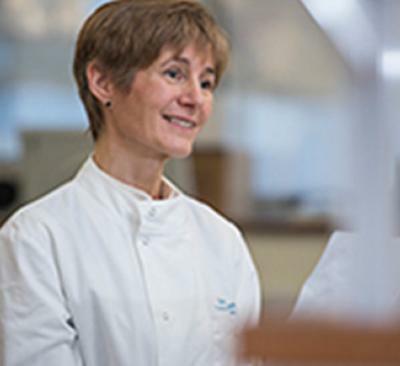 However, recent studies have suggested that triple-negative breast cancer patients might harbour genetic mutations that may make them more likely to respond to alternative treatments like cisplatin, a chemotherapy agent, or PARP inhibitors, anti-cancer agents that inhibit the poly (ADP-ribose) polymerase (PARP) family of enzymes. The latest study, conducted by researchers at the University of Southampton alongside the Mayo Clinic Cancer Centre in America, found that almost 15 per cent of triple-negative breast cancer patients had deleterious (harmful) mutations in predisposition genes, mostly in the BRCA1 and to a lesser extent the BRCA2 gene. Fifteen other genes were examined and the pick-up for mutations was low. The vast majority of mutations in other genes appeared in those involved in the repair of DNA damage but these mutations were individually quite rare. Triple negative breast cancer is diagnosed more often in younger women (women diagnosed before the menopause); this new study confirms that many may benefit from genetic testing even if they do not have a family history of cancer. The study assessed the frequency of mutations in predisposition genes in patients with triple-negative breast cancer to further delineate the role of genetic screening for individuals with the disease. The researchers sequenced DNA from 1,824 triple-negative breast cancer cases from 12 large studies of patients at a range of ages who had developed triple negative breast cancer from Europe and America. Rather than just testing for BRCA1 and BRCA2 gene mutations, a panel of 15 genes associated with increased breast cancer risk were examined. Deleterious mutations were found in almost 15 per cent of patients with triple-negative breast cancer. Of these, 11 per cent had mutations in the BRCA1 and BRCA2 genes and the rest had mutations in 15 other predisposition genes, including the DNA repair genes PALB2, BARD1, and RAD51C. No mutations were found in predisposition genes involved in other processes like the cell cycle. This supports previous studies that suggest triple-negative breast cancers may be associated with defective DNA repair. The researchers hope that the findings generate new ideas on how triple-negative breast cancer might be arising, which could lead to new therapies and even preventive options for the disease. The study also found that individuals with mutations in predisposition genes were diagnosed at an earlier age and had higher-grade tumours than those without mutations. The researchers used their dataset to assess whether the current screening guidelines would identify all the triple-negative individuals with mutations in the two most common predisposition genes, BRCA1 and BRCA2. They found that the National Comprehensive Cancer Network guidelines in America, which recommend screening when there is a family history of cancer or a diagnosis under age 60, missed only one per cent of patients carrying mutations. In contrast, the UK’s National Institute for Clinical Excellence (NICE) guidelines, which uses an age cut off of 40 for an isolated breast cancer (no cancer in relatives) or a 10 per cent probability of actually finding a BRCA mutation to determine who should be tested; miss up to 24 per cent of mutation carriers.